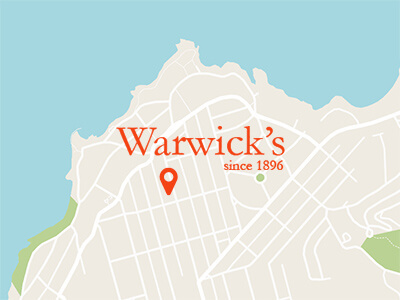 At 10:00am on the second Tuesday of every month, have your morning coffee with a member of the Warwick's bookselling team! While everyone sips coffee and enjoys breakfast treats from our neighbors at Brick & Bell Cafe, we will take you on a casual, informal journey through the new releases, books of note, and lit we've loved. And it's free! How many online retailers or chain bookstores can offer you such a fantastic deal?! 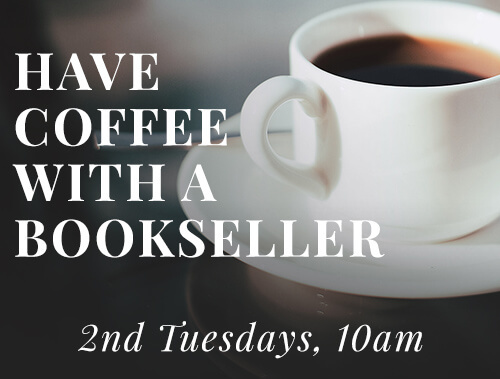 Better yet, everyone in attendance will receive 20% off any of the books discussed at Coffee with a Bookseller - good all day on the day of the event! Sneak previews, of a sort, can (sometimes) be seen on the Warwick's Blog.